Hope the Quotation enclosed meet with your approval & look forward to hearing from you. If you require any further assistance, please feel free to contact us. 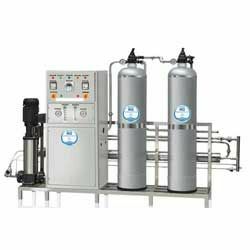 Water Treatment scheme is designed to produce product water at the flow rate of 1000 LPH based on Reverse Osmosis Technology. Note : The proposed water treatment system can even work continuously for 8-9 Hrs per day leaving aside 0.5 – 1 Hrs for the recommended Backwashing of the Filtration system.